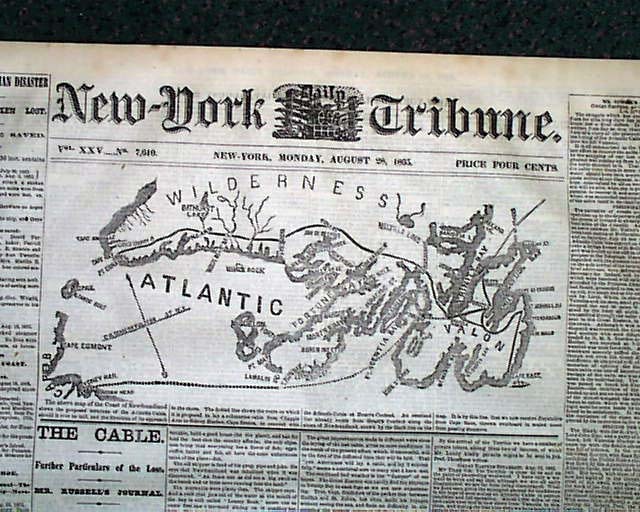 NEW YORK TRIBUNE, NY, August 28, 1865 The front page has a wonderful graphic of the Atlantic Cable showing the proposed terminus, and more. 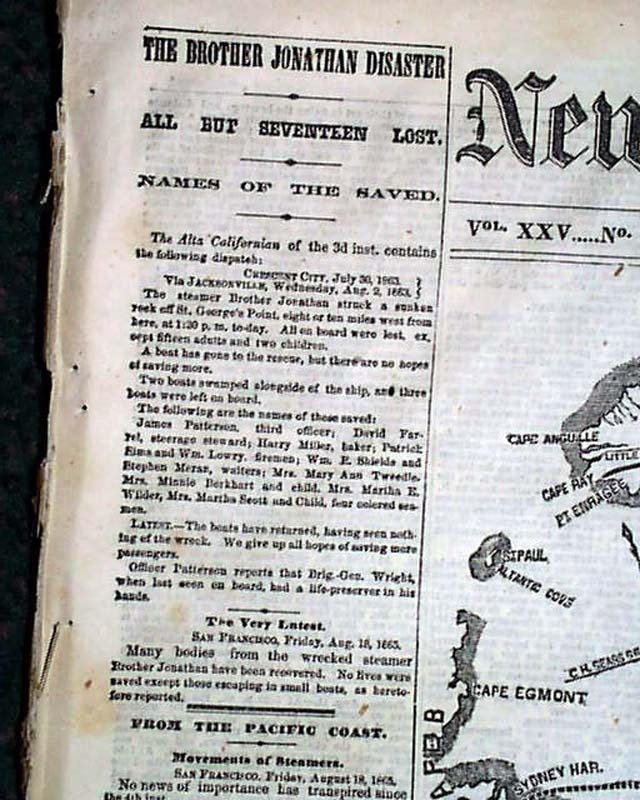 Also included are additional front page details regarding the Brother Jonathan disaster. 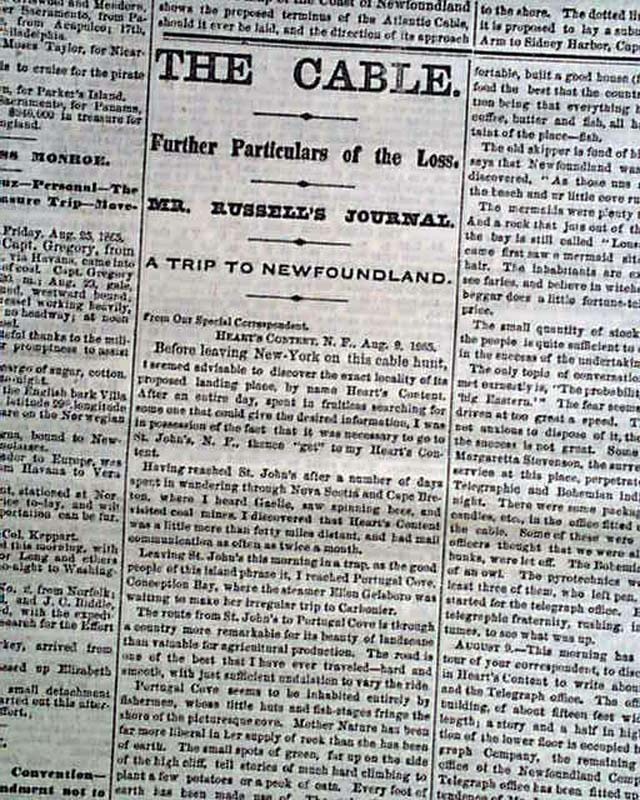 Headlines include: "THE CABLE" "Further Particulars of the Loss" "Mr. Russell's Journal" "A Trip to Newfoundland" "THE BROTHER JONATHAN DISASTER" "ALL BUT SEVENTEEN LOST," and more. 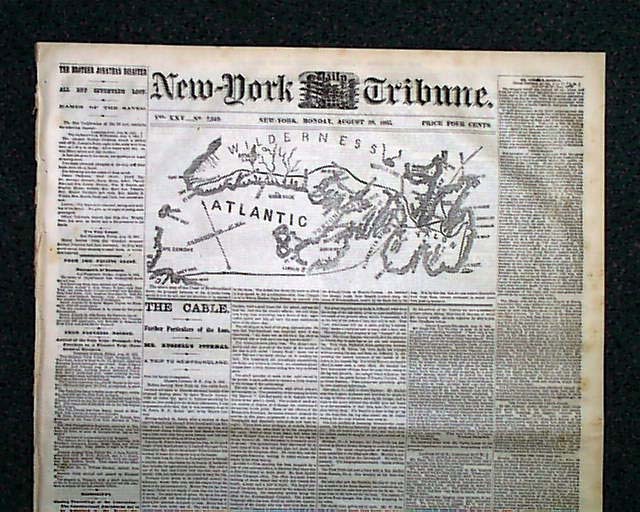 The related text takes the vast majority of the front page! 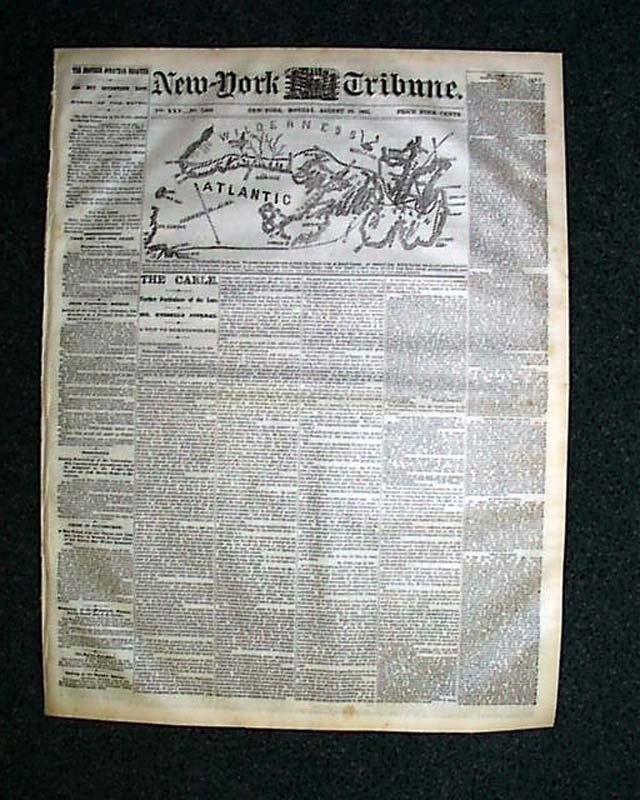 Eight pages, in very nice condition (see images).